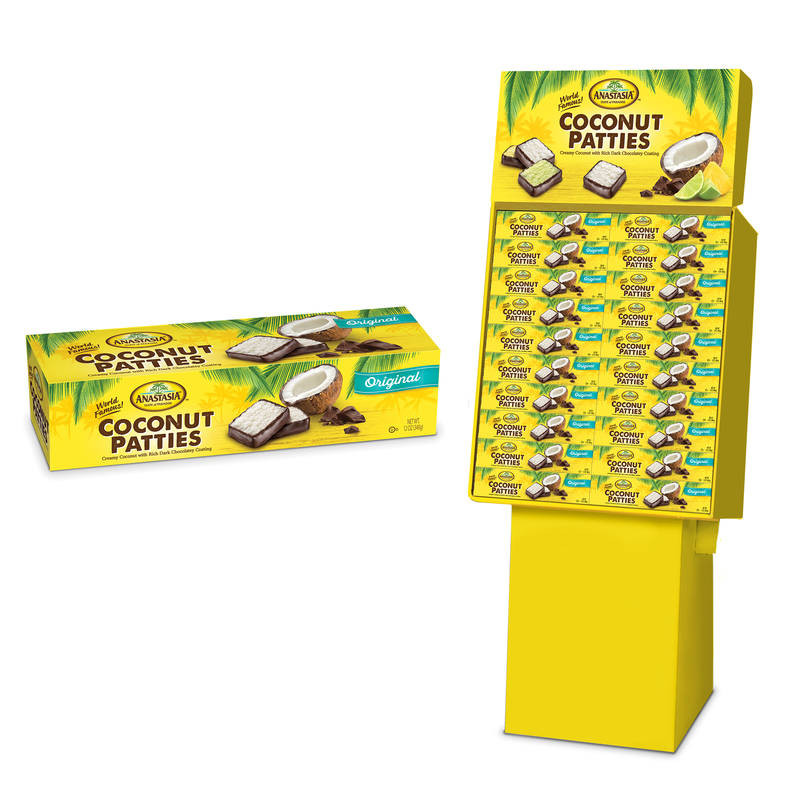 Shipper display of our creamy original Coconut Patties dipped in rich dark chocolate. This eye-catching display contains boxes of our World Famous 12 oz. Original Coconut Patties.